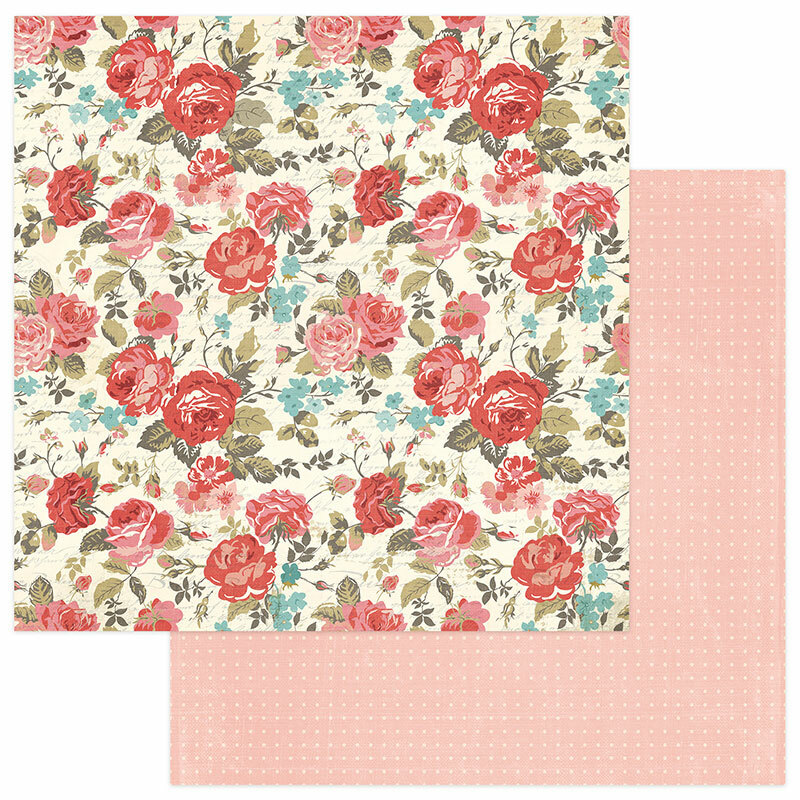 This 112x12 double sided paper has gorgeous Pink & Red Fleurs on the front side. The reverse side has White Dots on a Pink Background with Banners across the left corner. Part of the French Flea Market Collection by Photo Play Papers. Look for coordinating Designer Papers, Element Stickers and Ephemera Die-Cuts.